ORLANDO, Fla. - A chlorine gas leak, which prompted evacuations, has been sealed in Orange County on Thursday, according to Orange County Fire Rescue. The first call came into dispatch just after 10:30 a.m. Thursday in an industrial area off of 250 Central Florida Parkway. 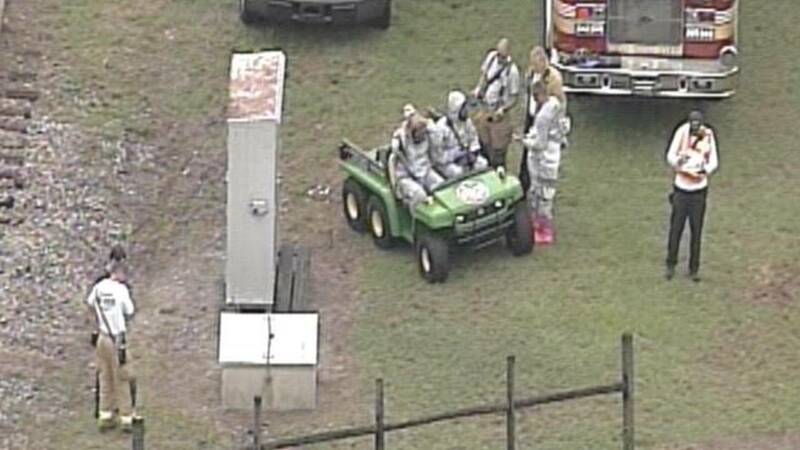 It was listed as a hazardous materials Level 3 situation, according to OCFR. Local 6 helicopter Sky 6 flew over the scene as people were spotted walking down the roadway in an evacuation at the Brenntag Global Chemical Distributing Company. No injuries were reported and employees have been allowed back in.